Alpha Beta Gamma Wealth Management is expanding to better serve our clients. Meet our two newest team members! 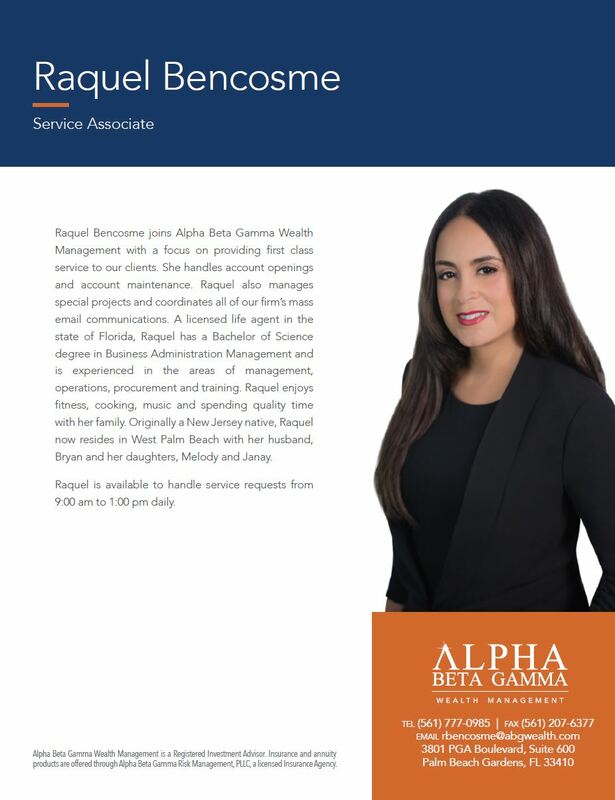 Raquel Bencosme has joined Alpha Beta Gamma Wealth Management with a focus on providing first-class service to our clients. She handles account openings and account maintenance, manages special projects and coordinates all of our firm’s mass email communications. Raquel is available to handle service requests from 9 am to 1 pm daily. A licensed life agent in the state of Florida, Raquel has a degree in business administration management and is experienced in the areas of management, operations, procurement and training. 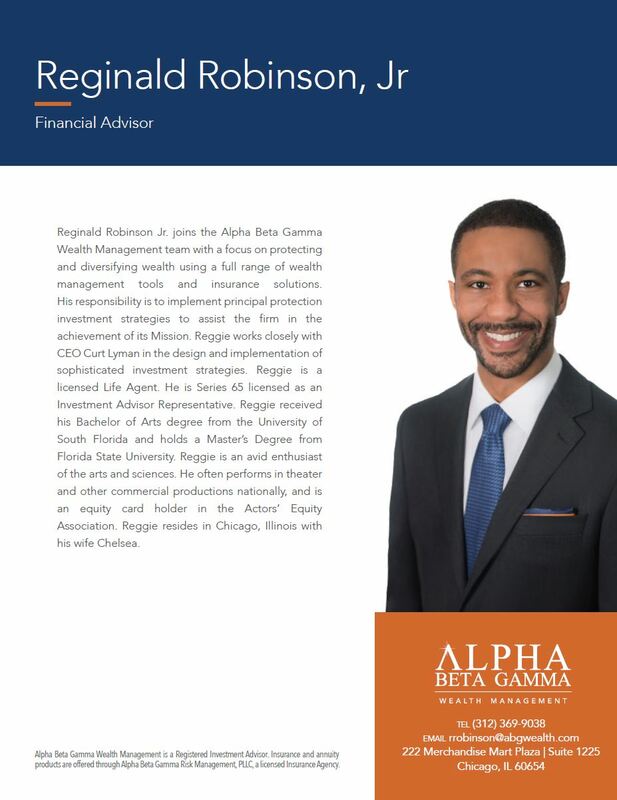 Reginald Robinson Jr. has joined the Alpha Beta Gamma Wealth Management team and is working closely with CEO Curt Lyman in the design and implementation of sophisticated investment strategies. Series 65 licensed as an Investment Advisor Representative, Reginald is also a licensed life agent. Reginald’s focus is on protecting and diversifying wealth using a full range of wealth management tools and insurance solutions. He implements principal-protection investment strategies to assist the firm in the achievement of its Mission. Download and read his complete biography by clicking here: Reginald Robinson, Jr.